Young people face tremendous, and sometimes conflicting, demands of school, sports, families, social lives. 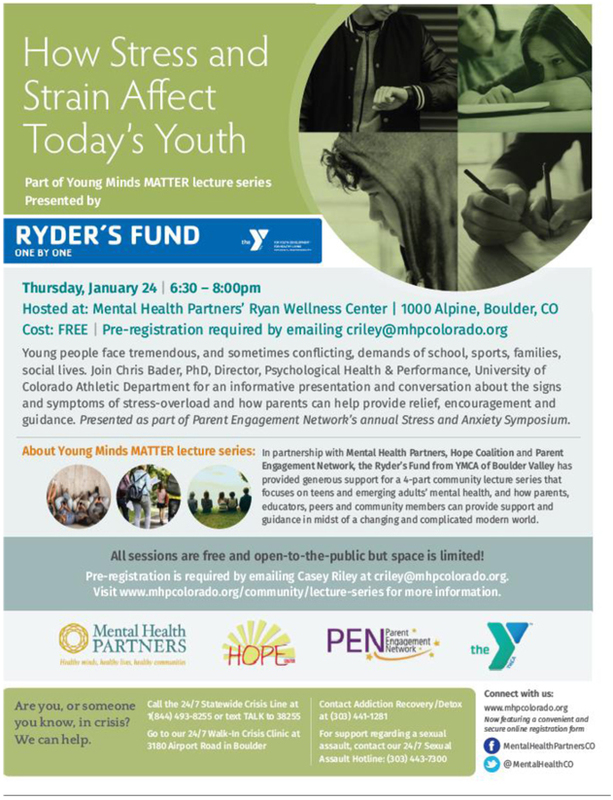 Join Chris Bader, PhD, Director, Psychological Health & Performance, University of Colorado Athletic Department for an informative presentation and conversation about the signs and symptoms of stress-overload and how parents can help provide relief, encouragement and guidance. Presented as part of Parent Engagement Network’s annual Stress and Anxiety Symposium.